The second day of Outside Lands faced more than a few hurdles. Aside from the Charlottesville terror attack casting an appropriately sober mood, A Tribe Called Quest pulled out a half hour before performing. The hip-hop innovators had already delayed their set from Friday, and the final cancellation—due to “travel complications” according to festival organizers—saw Los Angeles DJ Claude VonStroke take the reins at the Twin Peaks Stage for their planned slot. And as reported two weeks ago, Cage the Elephant made good on their promise to fill in for Queens of the Stone Age after the group cancelled due to an “injury” announced on Twitter without further explanation. Even with its altered schedule, Golden Gate Park still teemed with lively and inspired sets from Joseph, the Avett Brothers, Mondo Cozmo and (as always) Cage the Elephant, led with manic jubilance from frontman Matt Shultz. 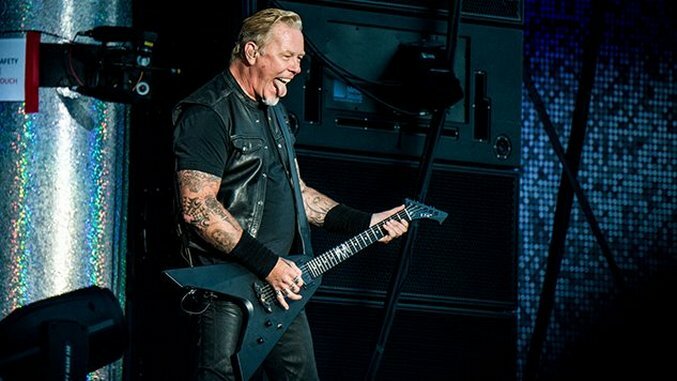 Metallica topped the day with a handful of tracks from their breakout “Black” album, which dropped exactly 26 years from the day. Check out Amy Harris’ vivid gallery from the day above, and see what went down yesterday in her Day One photos with Gorillaz and alt-J.